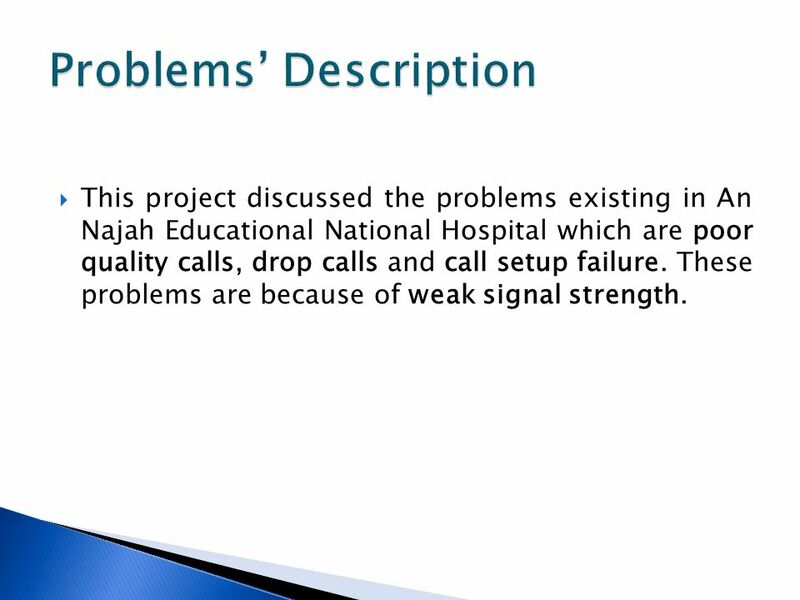 This project discussed the problems existing in An Najah Educational National Hospital which are poor quality calls, drop calls and call setup failure. 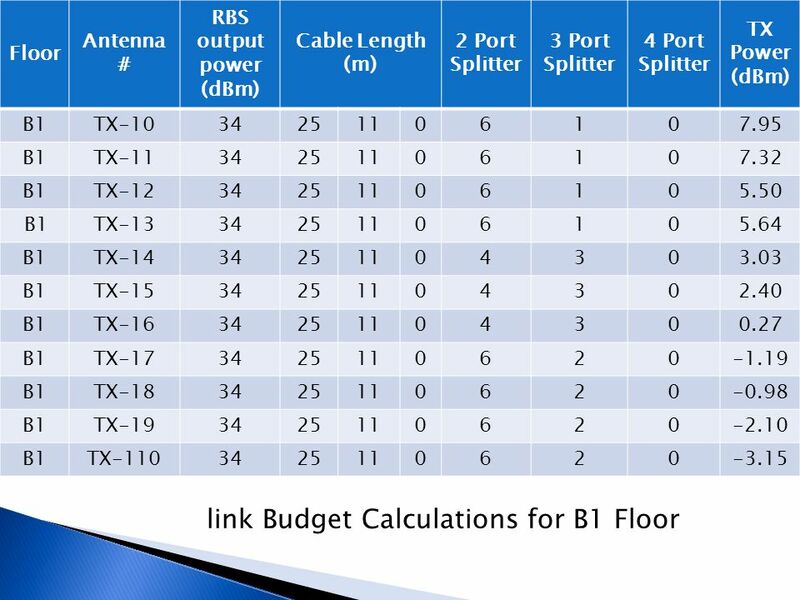 These problems are because of weak signal strength. 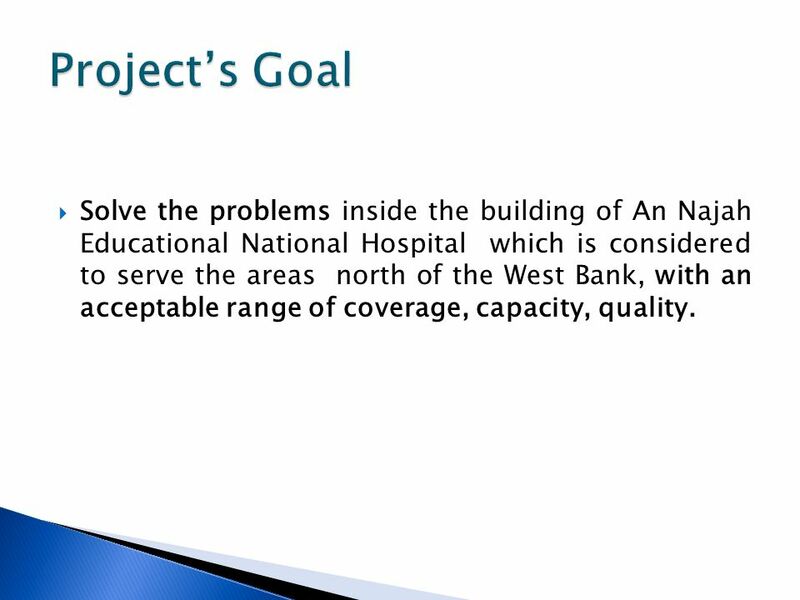 4 Project’s Goal Solve the problems inside the building of An Najah Educational National Hospital which is considered to serve the areas north of the West Bank, with an acceptable range of coverage, capacity, quality. 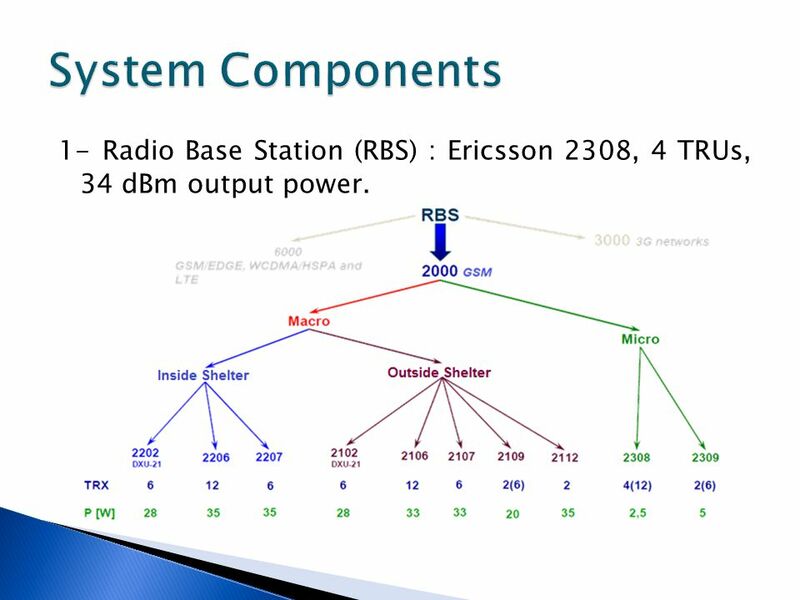 6 System Components 1- Radio Base Station (RBS) : Ericsson 2308, 4 TRUs, 34 dBm output power. 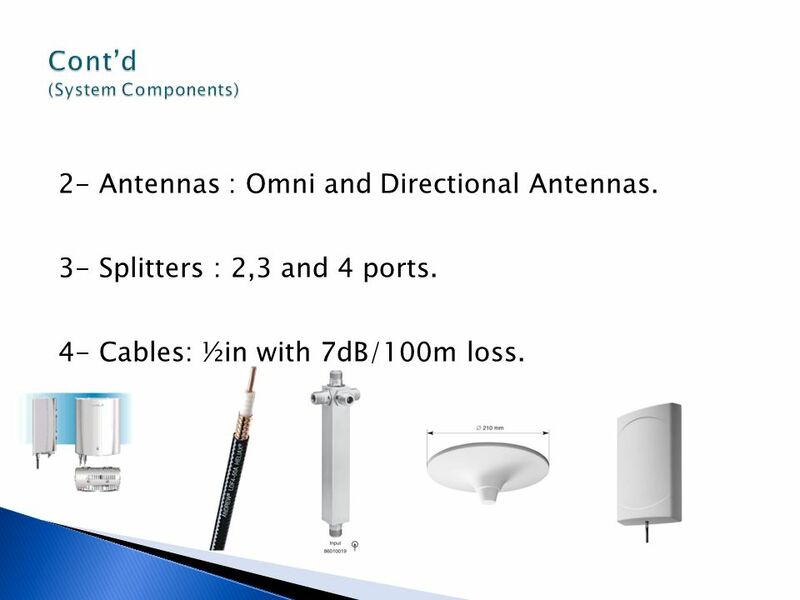 2- Antennas : Omni and Directional Antennas. 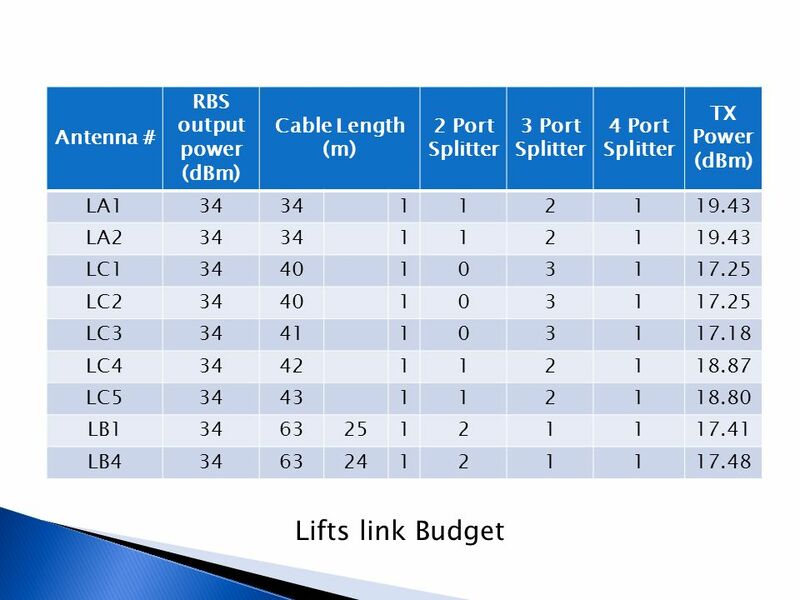 3- Splitters : 2,3 and 4 ports. 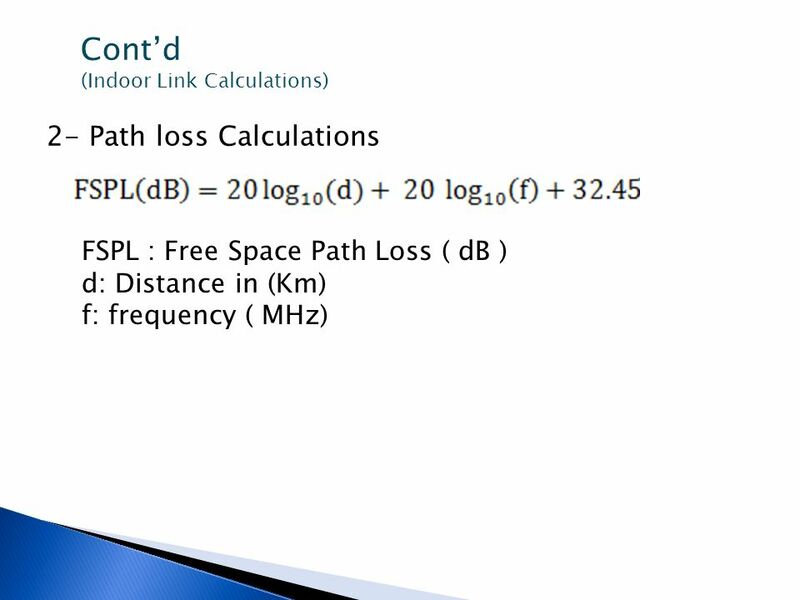 4- Cables: ½in with 7dB/100m loss. 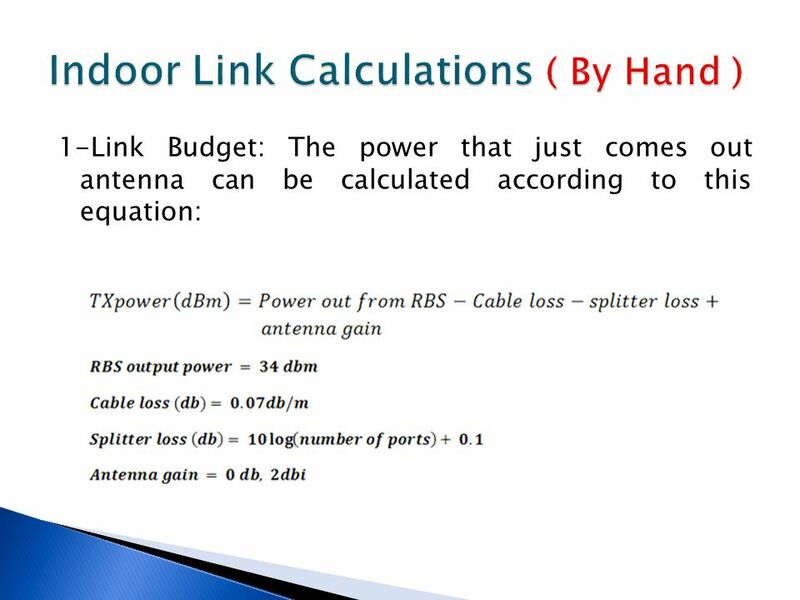 8 The Design 1- Passive or Active Distributed Antenna Systems? 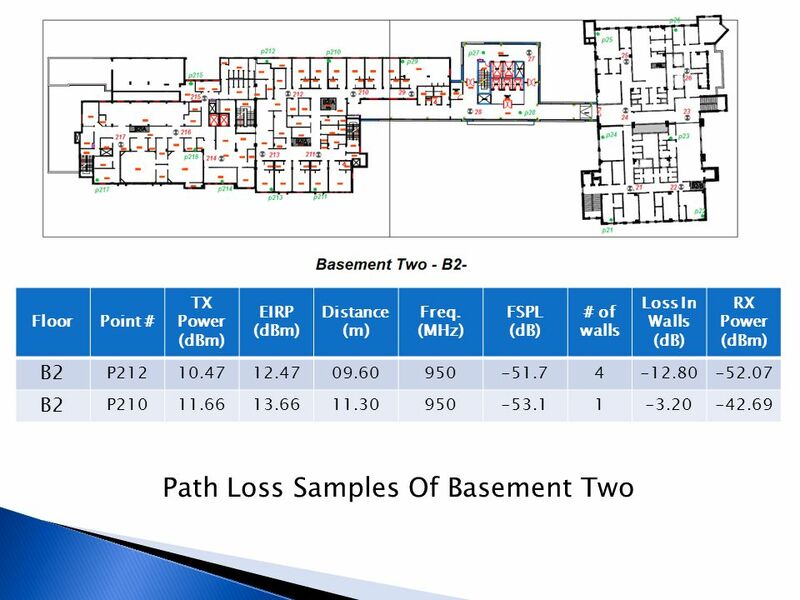 Two system types can be used for indoor solution, Active DAS or Passive DAS. 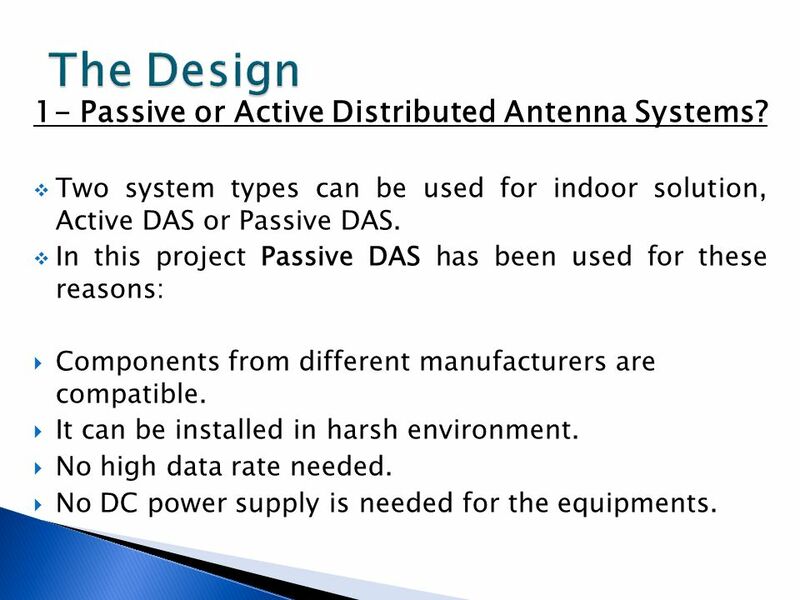 In this project Passive DAS has been used for these reasons: Components from different manufacturers are compatible. 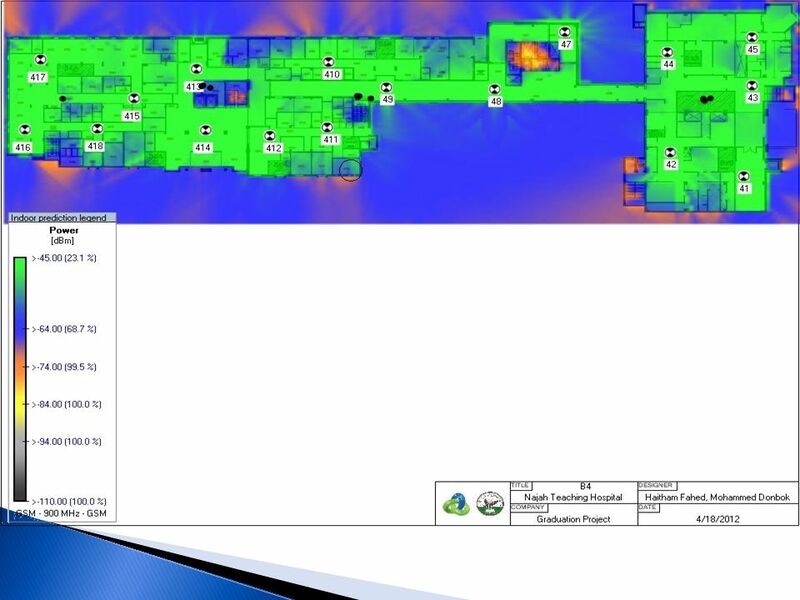 It can be installed in harsh environment. 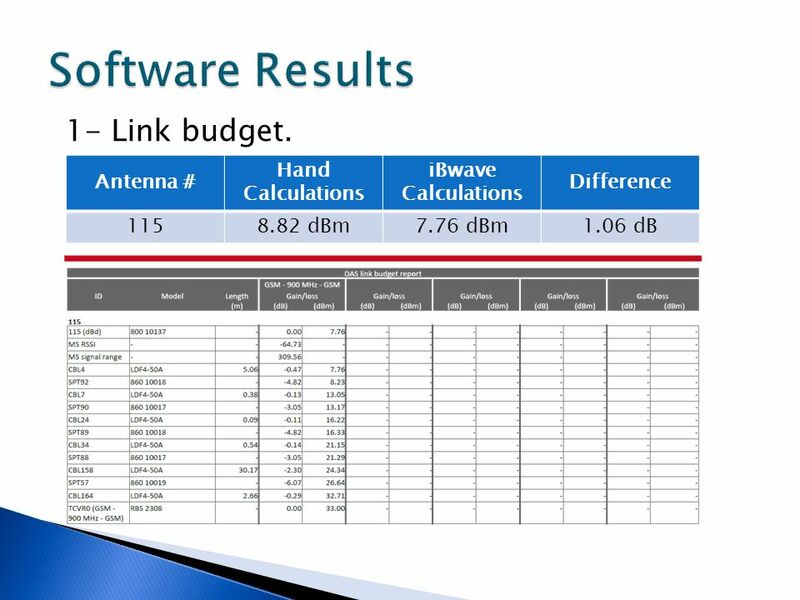 No high data rate needed. 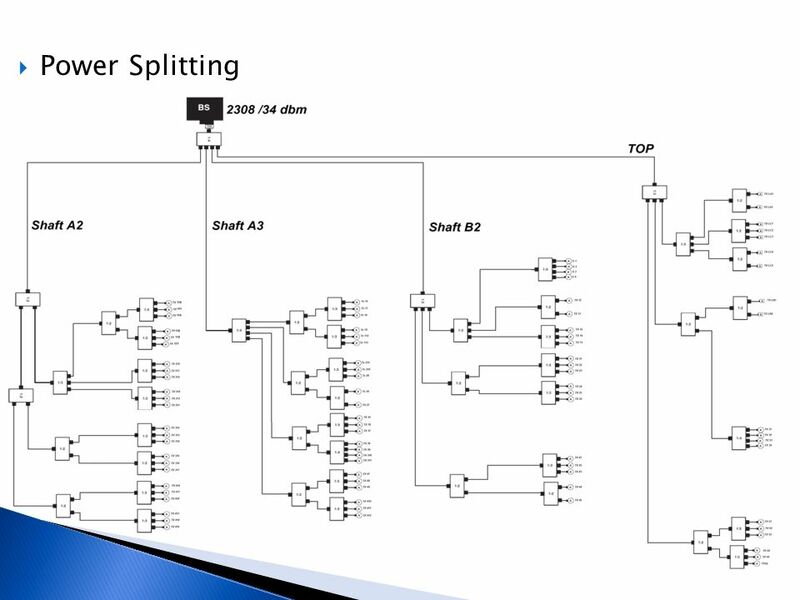 No DC power supply is needed for the equipments. 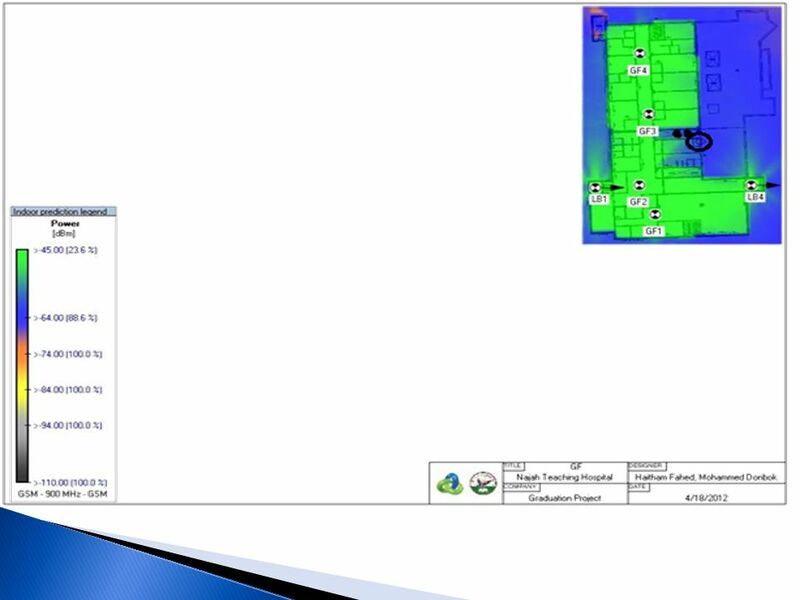 9 Cont’d ( The Design ) 2- Capacity Dimensioning. 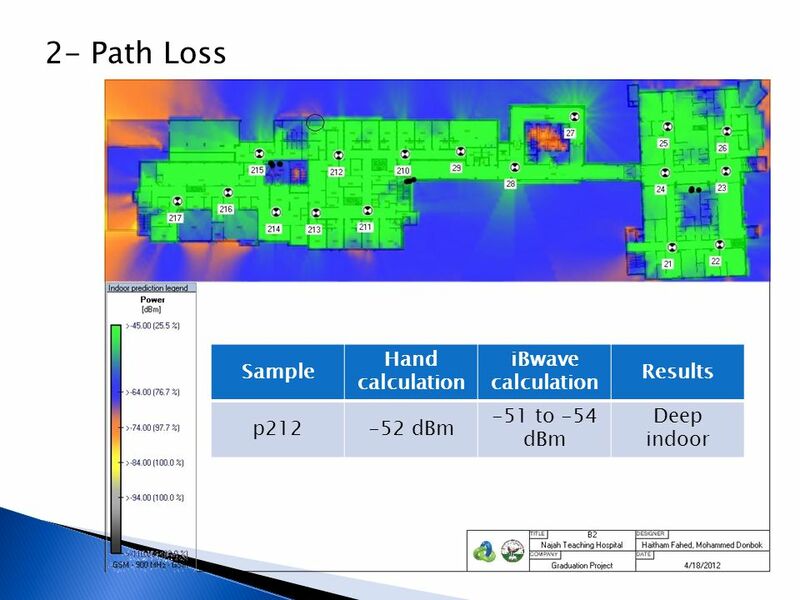 These conditions should be determined to calculate the number of channels that are needed to solve the capacity problem. 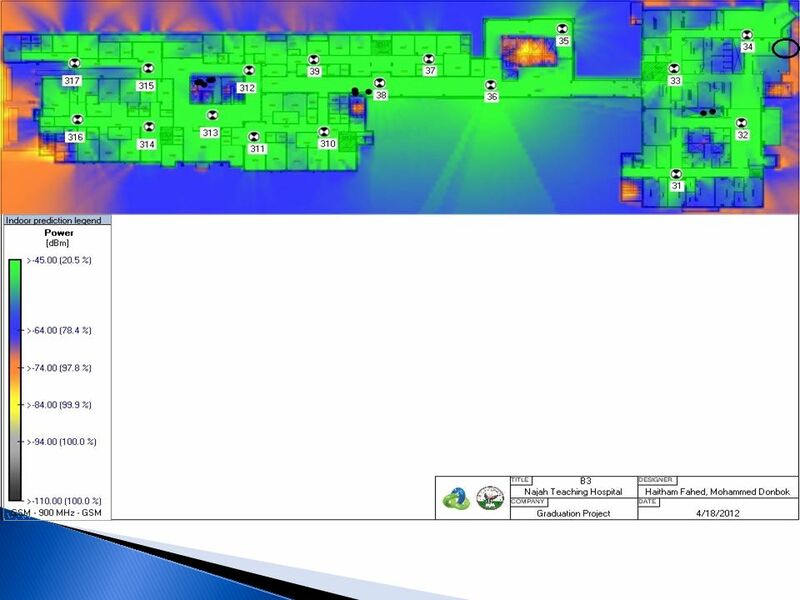 Number of subscriber = 900 subscribers. 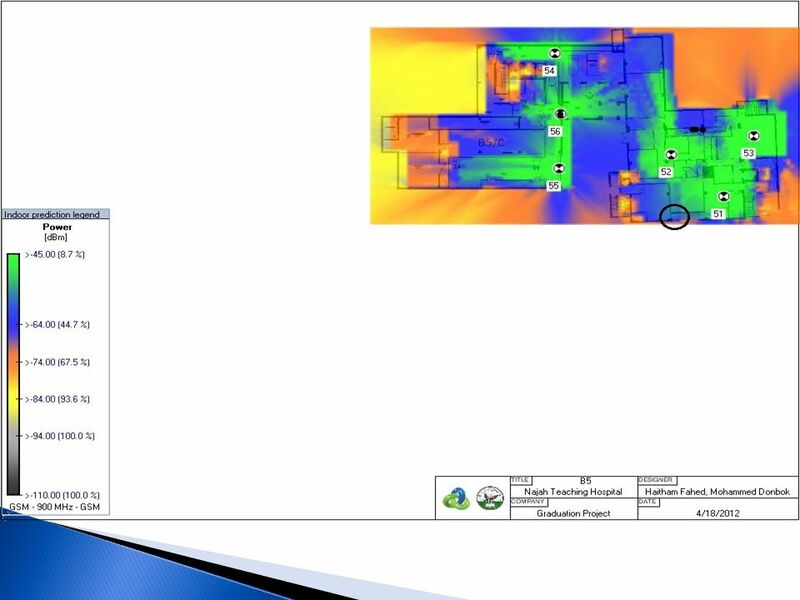 Types of subscriber : Normal = 25 mE. 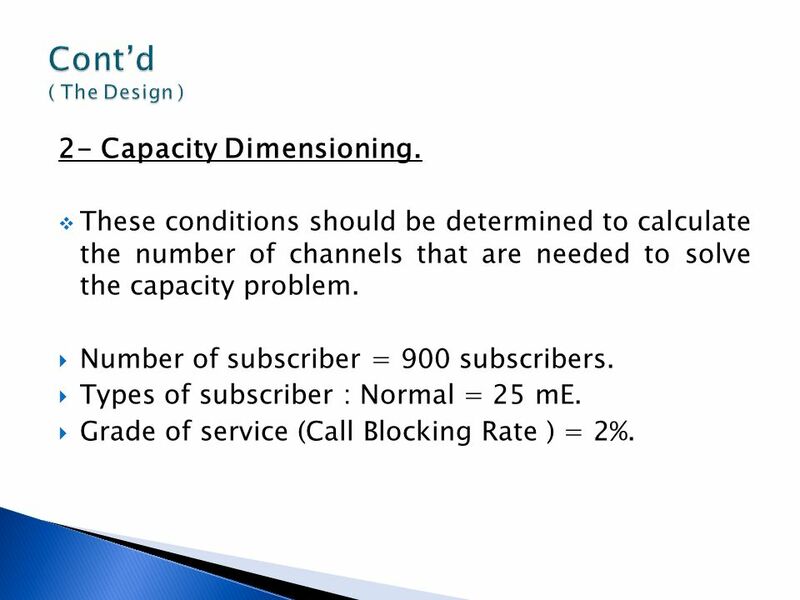 Grade of service (Call Blocking Rate ) = 2%. 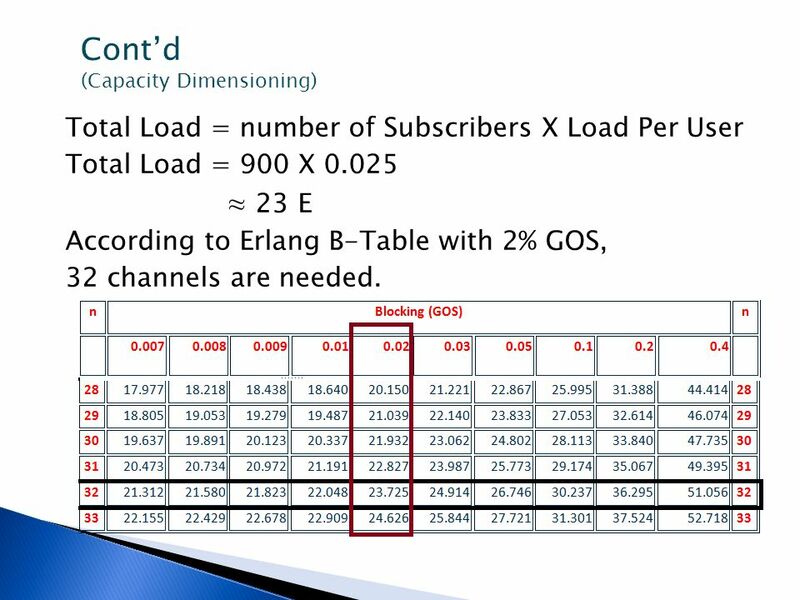 Total Load = number of Subscribers X Load Per User Total Load = 900 X 0.025 ≈ 23 E According to Erlang B-Table with 2% GOS, 32 channels are needed. 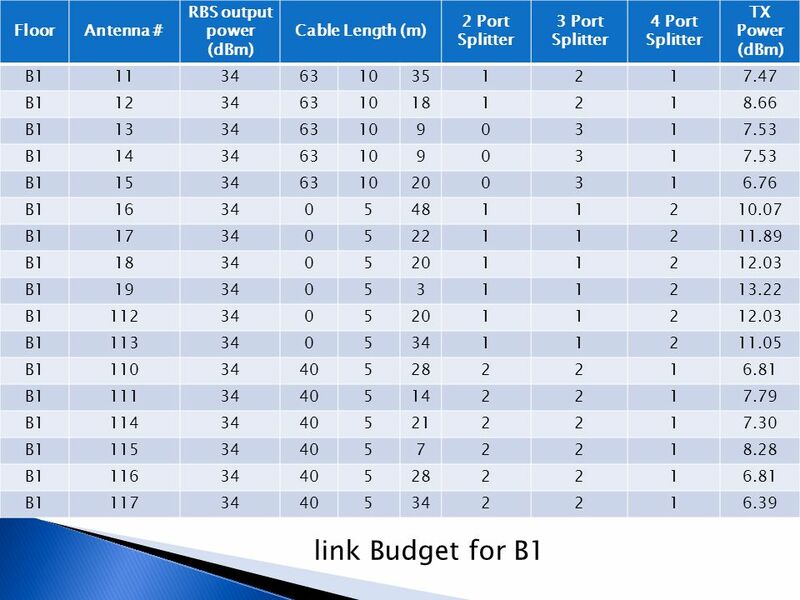 Every TRUs can carry 8 channels so 32/8 = 4 TRUs are needed. 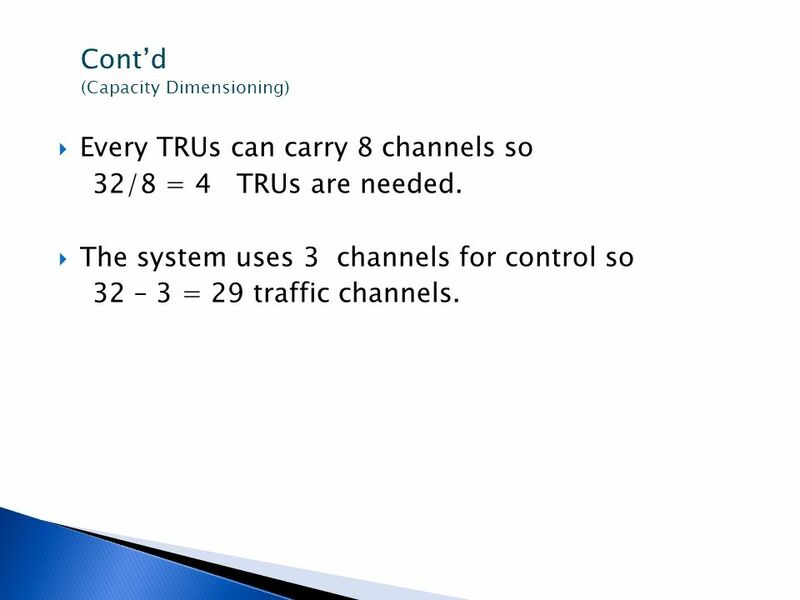 The system uses 3 channels for control so 32 – 3 = 29 traffic channels. 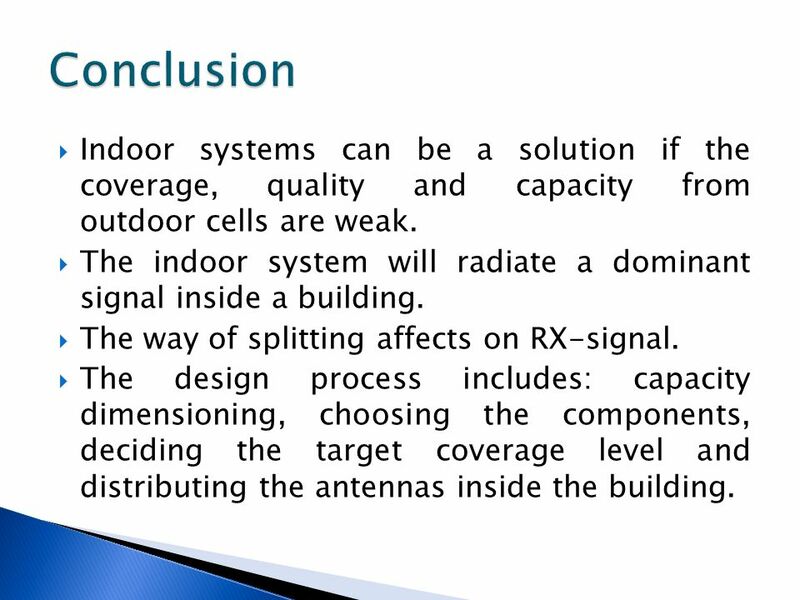 30 Conclusion Indoor systems can be a solution if the coverage, quality and capacity from outdoor cells are weak. 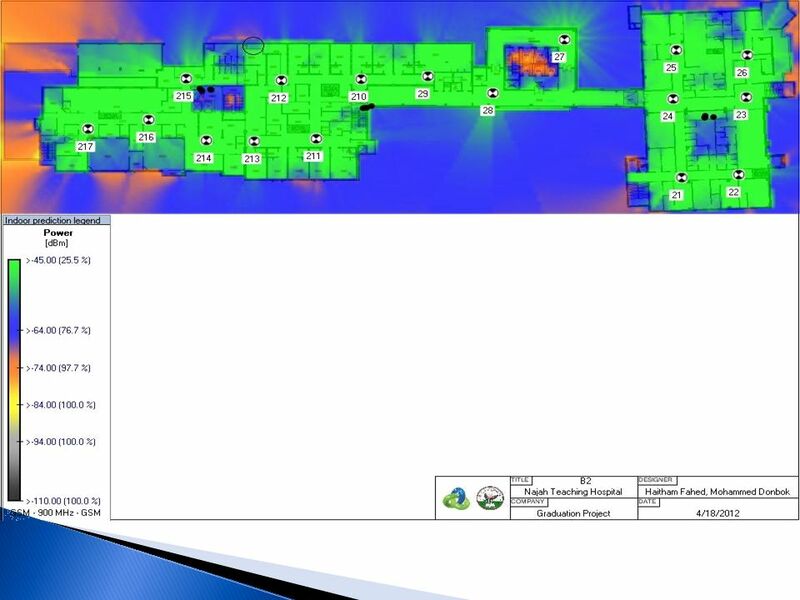 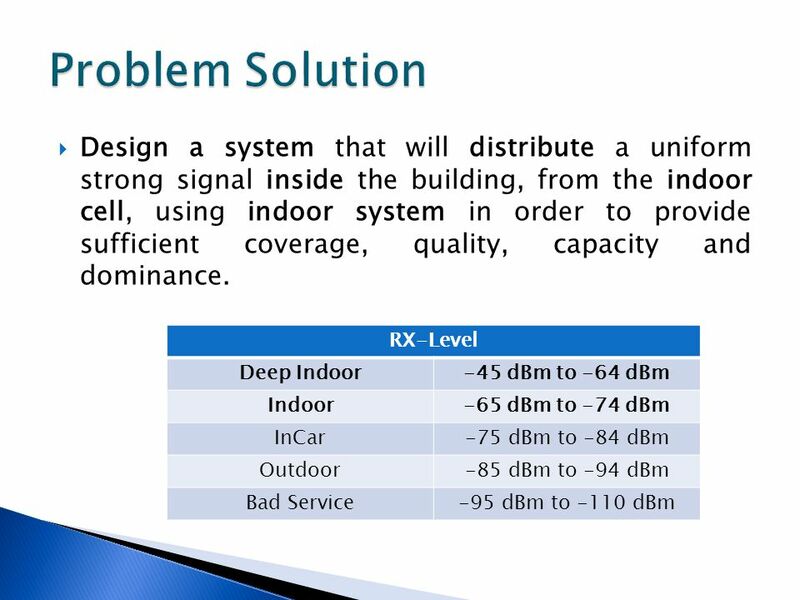 The indoor system will radiate a dominant signal inside a building. 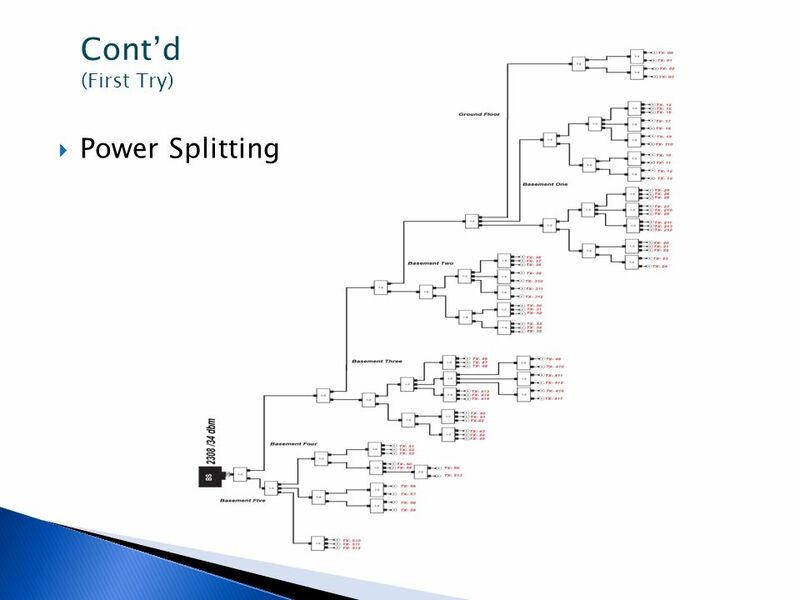 The way of splitting affects on RX-signal. 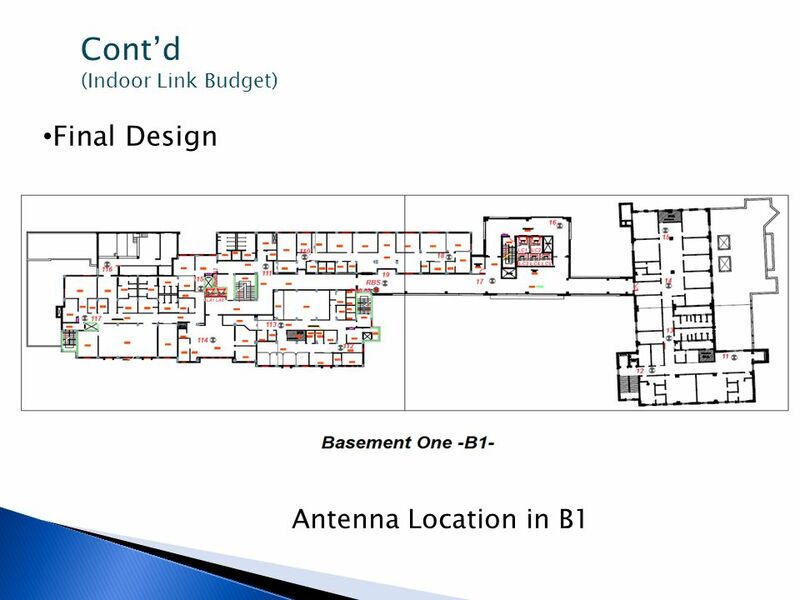 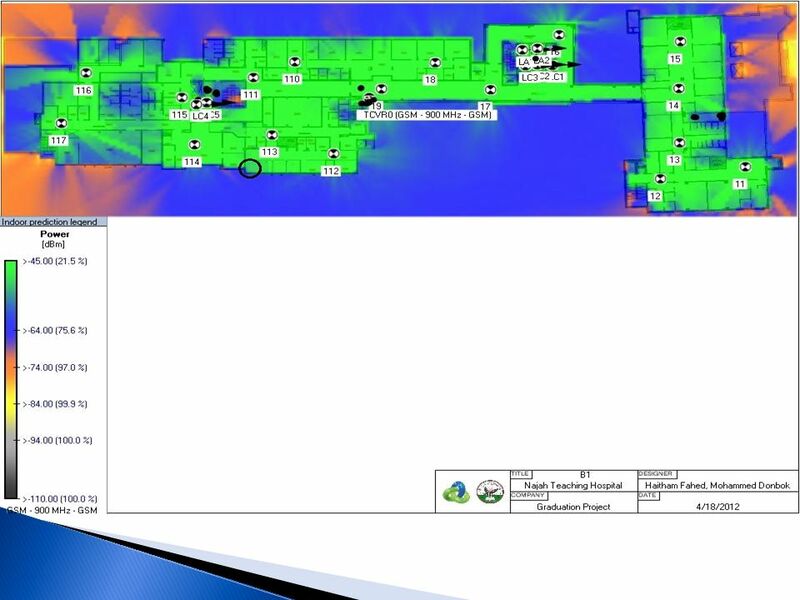 The design process includes: capacity dimensioning, choosing the components, deciding the target coverage level and distributing the antennas inside the building. 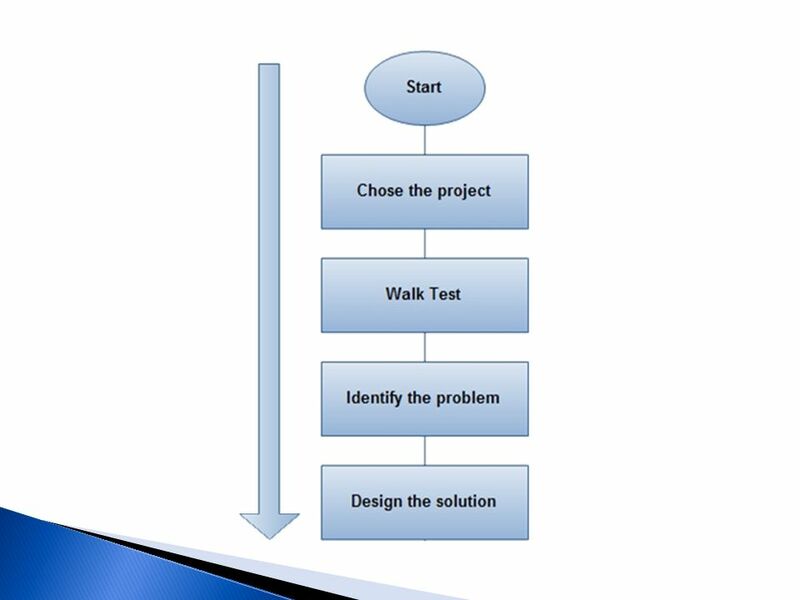 31 Cont’d (Conclustion) This design solve the existing problems completely which means that the goal of this project has been achieved. 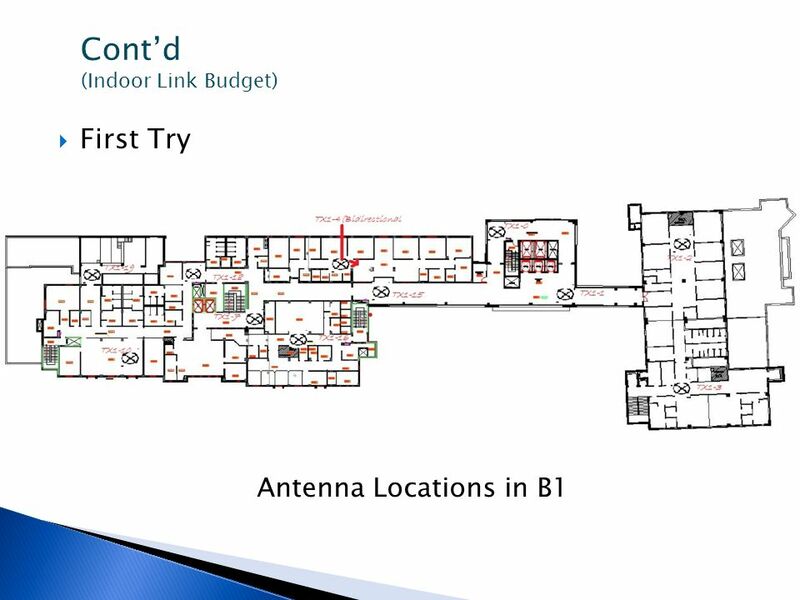 The most important areas inside the hospital have a deep indoor signal level ( >-64 dBm ). 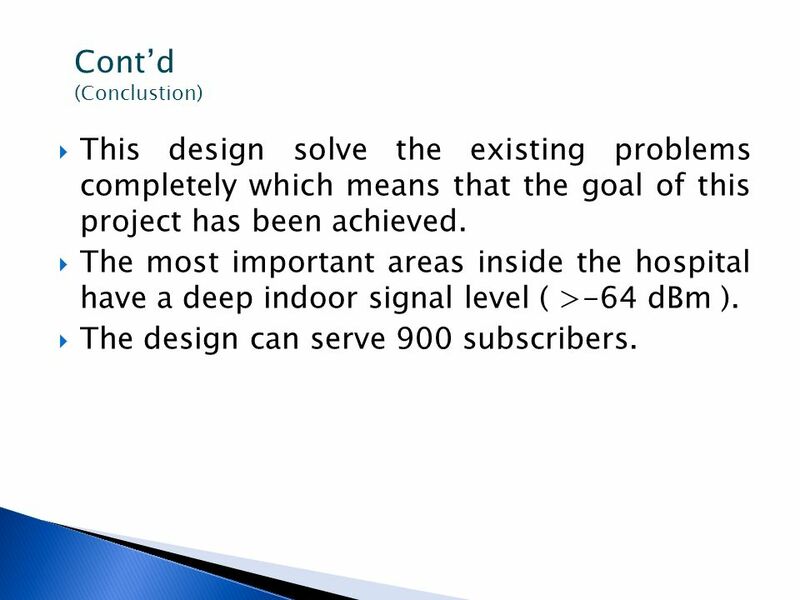 The design can serve 900 subscribers. 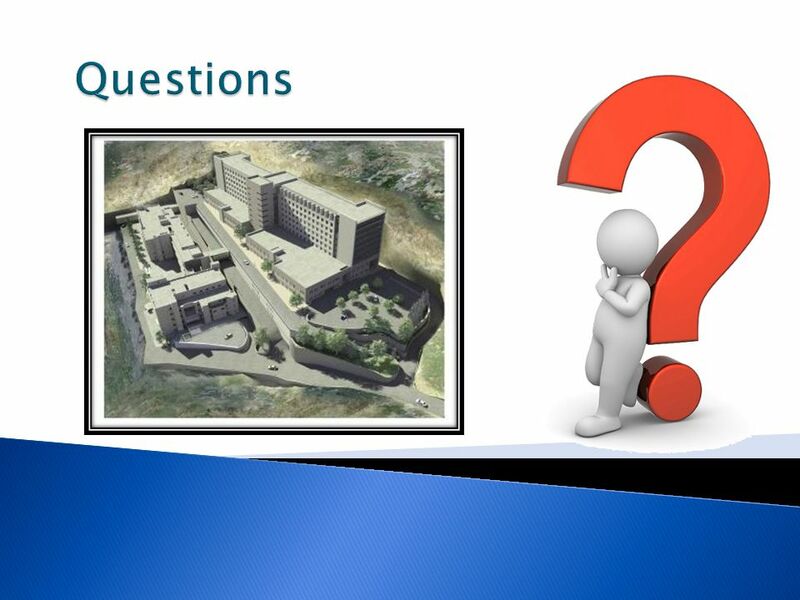 Download ppt "In Corporation With Jawwal"